Tags: ‘‘Thingless Names’? 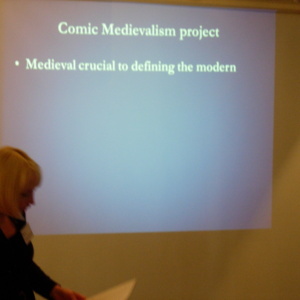 The St George Legend in Australia’, Andrew Lynch, article, Beer, commercial, dragon, La Trobe Journal, Perth, poetry, rugby, St George, St George Illawarra Dragons, St George’s Cathedral, stained glass windows, statue, The University of Western Australia. 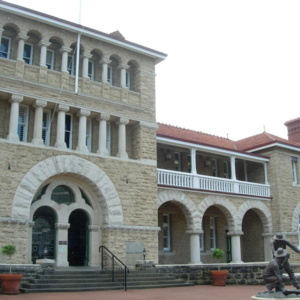 Tags: arched windows, Federation Romanesque, George Temple Poole, Perth, Perth Mint, Romanesque, Royal Mint, semi-circular arch, Sir John Forest, WA, Western Australia. 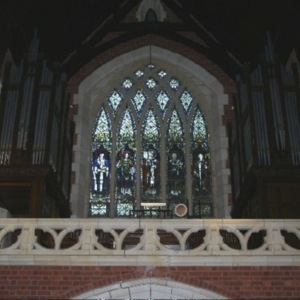 Tags: Anglican, Anglo-Saxon, Archbishop Riley, Armour, Gothic, Gothic Revival, lancet window, missionary, Perth, pointed arch, St Aiden, St Augustine, St Boniface, St George, St George’s Chapel, St George’s College, stained glass, sword, Talbot Hobbs, tracery, University of Western Australia, WA, Western Australia. 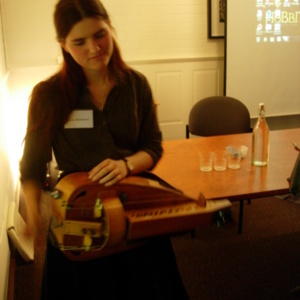 Tags: ‘Receptions’, Alana Bennet, conference, demonstration, hurdy gurdy, instrument, music, performance, Perth, poem, University of Western Australia, WA, Western Australia. 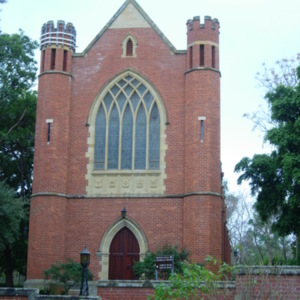 Tags: Anglican, Archbishop Riley, arched window, blind arcading, buttress, crenellation, Gothic, Gothic Revival, lancet window, parapet, Perth, pointed arch, St George’s Chapel, St George’s College, stained glass, Talbot Hobbs, tower, tracery, University of Western Australia, WA, Western Australia.